This page provides useful information of the structure of the OCR Chemistry (A), A-level course, specification code H034/H434, along with advice and guidance on careers in chemistry and revision resources. 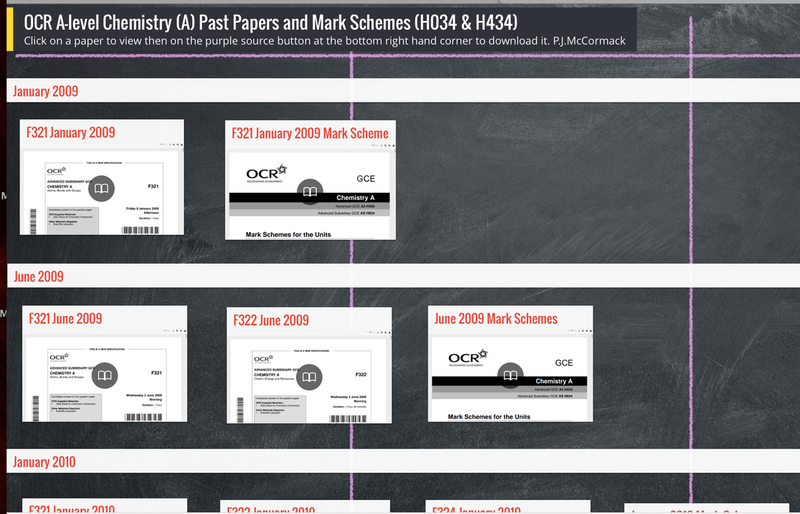 Link to Padlet to access all of the OCR Chemistry past papers and mark schemes by year. Click here. Links to help you revise the key words for all four Chemistry A-level units. The app is available for both iOS and Android devices in addition to the website, for revision anywhere. Chemguide contains notes on all aspects of the A-level Chemistry specification. Separated into the main areas of chemistry, physical, inorganic and organic, this website is a very useful reference guide and will support your learning inside and outside the classroom. This Oxford University Press eBook is a electronic searchable revision guide to assist you with each topic within the AS Chemistry course and includes clear explanations, definitions, worked examples, and questions. Your chemistry teacher will issue you with a username and password. This Oxford University Press eBook is a electronic searchable revision guide to assist you with each topic within the A2 Chemistry course and includes clear explanations, definitions, worked examples, and questions. Your chemistry teacher will issue you with a username and password. 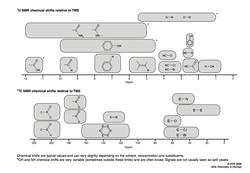 Chemistry in Context Google Book by Hill & Holman (2000) is a comprehensive A-level textbook that has has concise explanations, illustrations and useful end of chapter review questions. Although this book is a little old it does explain in great depth the higher level principles and includes many aspects of the social, economic, technological and industrial context of chemistry in everyday life. As this is a Google book it is searchable by key word or topic, resulting in several hundred pages of information at your finger tips. The document contains all the information about the AS and A2 Chemistry course including all the learning objectives for each module. Use this document as a check-list to ensure you have mastered all the definitions, concepts and content. Data Sheet for Chemistry A. This document contains a copy of there periodic table, the NMR chemical shift values for both 13C and 1H environments, infra-red absorption values and the three constant values of Kw, NA and the volume occupied by 1 mole of gas at RTP. This is the yes slow document that you are given during each written and practical skills examination. Explore the elements through podcasts, videos, trends and historic information with the Royal Society of Chemistry's Visual Elements Periodic Table. A very useful resource for key physical data of the 118 individual elements. A website from the Royal Society of Chemistry's containing hundreds of chemistry experiments and activities and resources including the 2012 Royal Institutions Christmas Lectures demonstrating many exciting practicals from the composition of the air to the alkali metals. This website also contains links to the Mole Magazine, a publication aimed at students to enable them to further explore the wonders and latest developments in the chemical world.